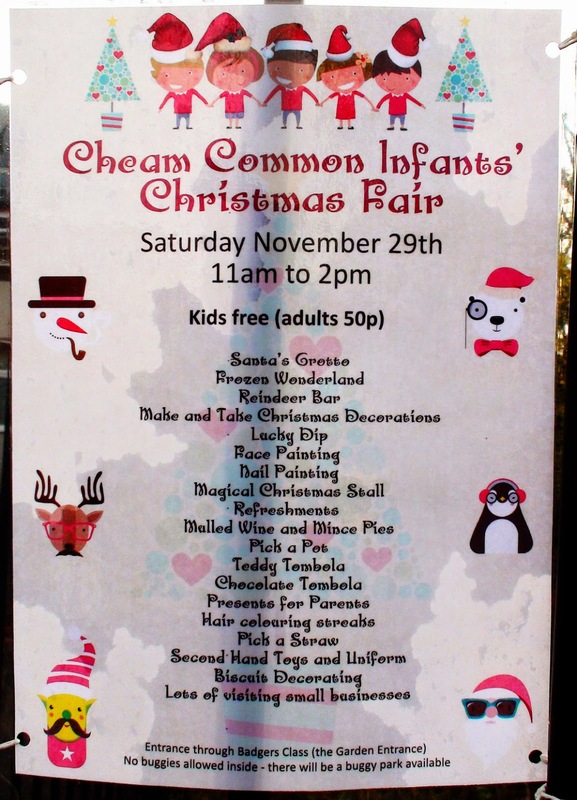 Cheam Common Infants' School are holding their Christms Fair today. The Fair began at 11am this morning (with all the excitement about the stabbing in central Road this morning, this posting has been a little delayed). So you have until 2pm to get yourself along and enjoy the many stalls, events and happenings (all listed above).